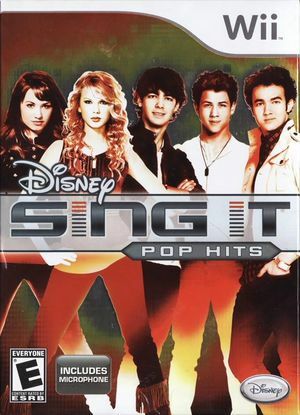 Disney Sing It: Pop Hits, the third game in the video-based karaoke video game franchise from Disney Interactive Studios, will feature songs and music videos from Radio Disney favorites such as Miley Cyrus, Taylor Swift, The Jonas Brothers, Demi Lovato and Hannah Montana. Fans can also sing to chart-topping tunes from Colbie Caillat, Coldplay and One Republic. Players can sing solo, duet or compete head-to-head with friends and family in multiplayer mode. The graph below charts the compatibility with Disney Sing It: Pop Hits since Dolphin's 2.0 release, listing revisions only where a compatibility change occurred.